No more switching between browser tabs. 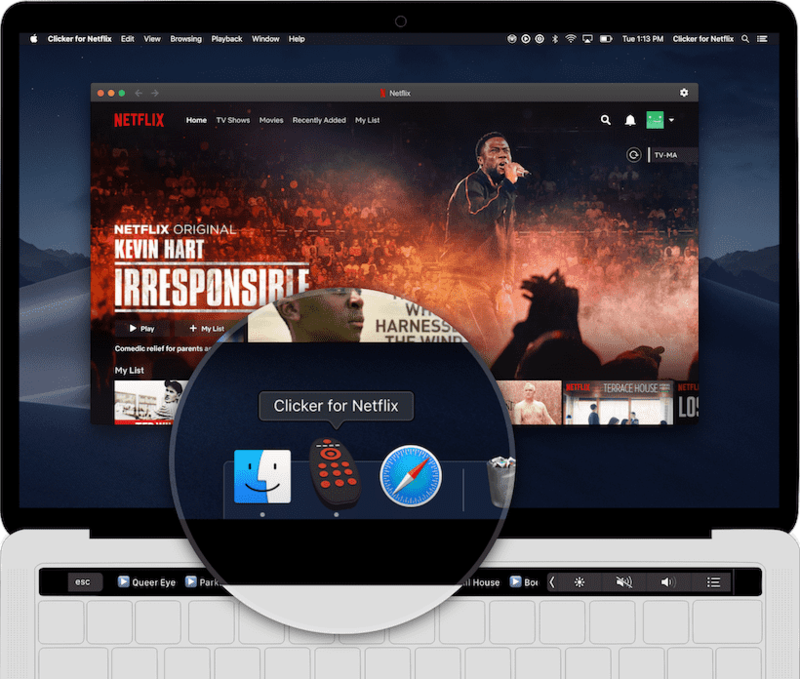 Simply launch Clicker for Netflix straight from your dock and get your binge on. Plus, with InstantStart technology, you will pick up right where you left off the last time you were watching. Hunting to find your show again is so early 2000s. 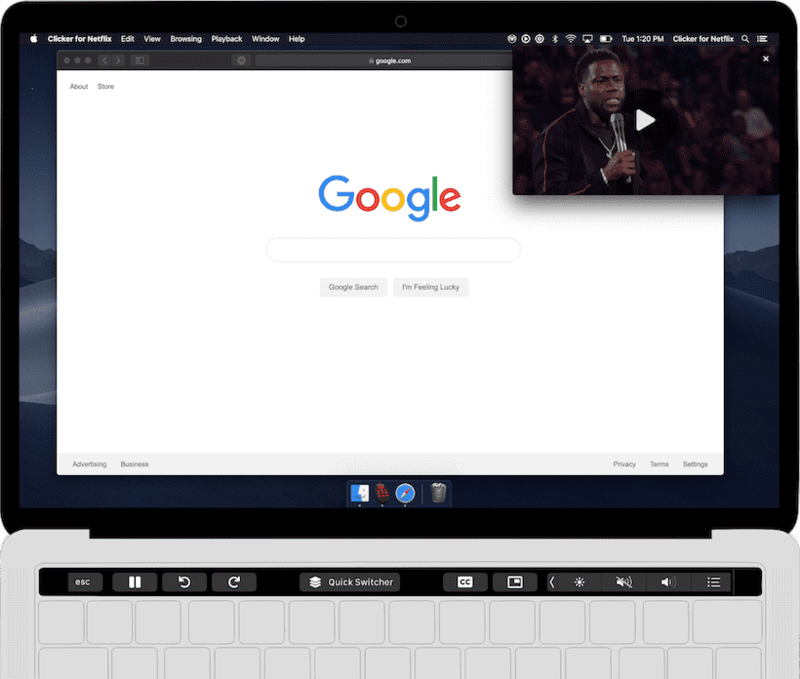 With Picture-in-Picture support built right in, watch your favorite show while you fly through those TPS reports. Just don't let your boss catch you! Can't find that show you were just watching? 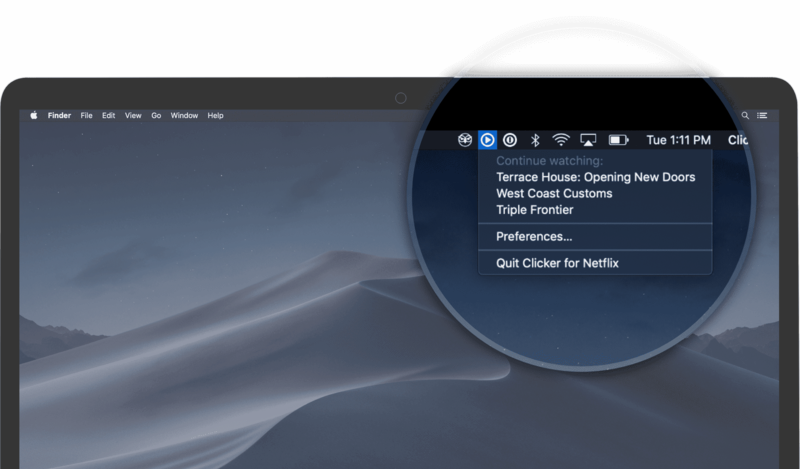 Simply scroll through a list of your recently watched shows on the Touch Bar, tap on the name of the show you want to watch, and boom! You're right back into your show. Tired of that show you're watching? Quickly switch to another show by pulling up your recently watched shows using Quick Switcher, directly from the video player! ðŸ‘€Only have eyes for Netflix? 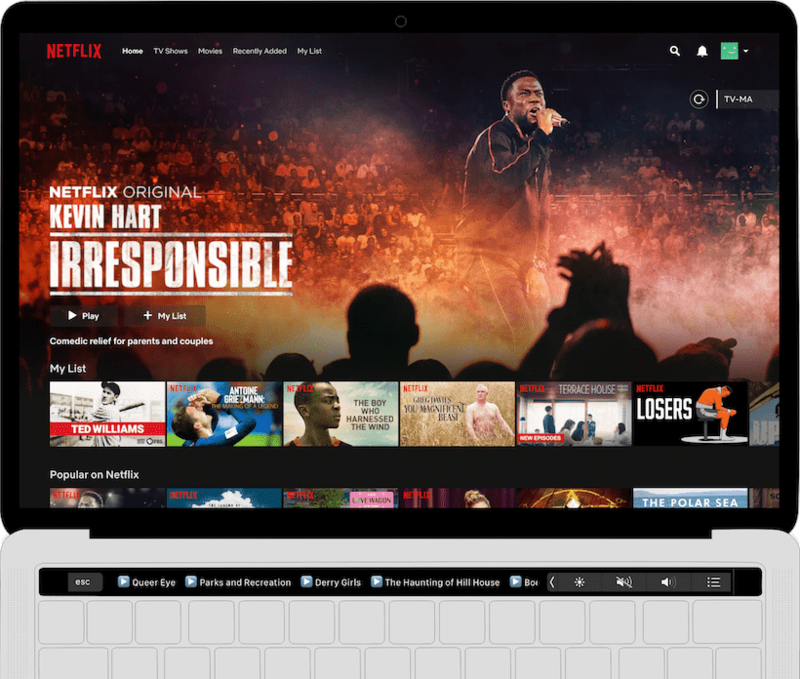 Show your love by making all that unnecessary chrome (pun intended) fade away with Netflix in its full glory. Just check a box, and autoplay no more! It's that simple. * Legal note - Clicker for Netflix is a 3rd party app and is in no way endorsed or affiliated with Netflix, Inc. The Netflix name, images, and clips all copyright Netflix, Inc.